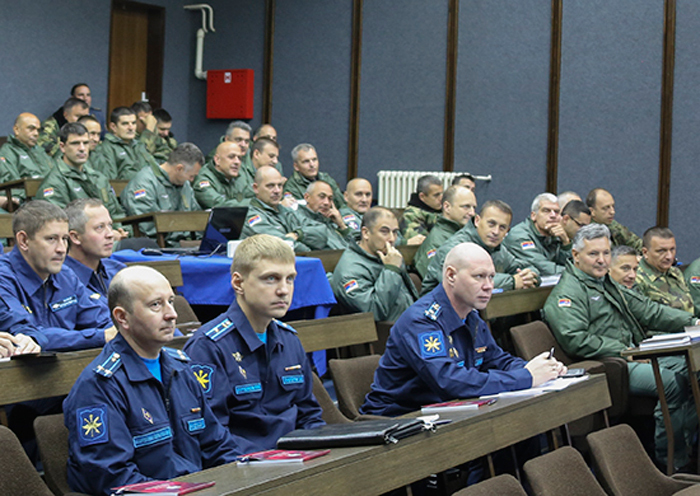 BARS-2016 aviation tactical drills are held in the framework of the Russian Defense Ministry’s plan for international military cooperation. Russian and Serbian crews have practiced cooperation in search and rescue operations at the joint BARS-2016 drills, the Russian Defense Ministry’s department of information and mass communications said on Oct. 13. "Over the course of flight, the crews of Mi-8 helicopters carried out a visual search for those in need of medical assistance, hovered over the spot, sent air rescuers and equipment, took those injured on board and provided first aid to them," the ministry said. "Flights to perform search and rescue tasks took place during the day and at night time in the conditions of rain and wind gusts. In total, 10 sorties were carried out," the ministry added. Joint crews of Russia and Serbia are taking part in BARS-2016 drills on MiG-29 aircraft and Mi-8 helicopters. BARS-2016 aviation tactical drills are held in the framework of the Russian Defense Ministry’s plan for international military cooperation. Up to 10 units of Russian Air Force’s aircraft and Serbian Air Defense Troops are taking part in the military exercise.